Childs+Sulzmann Architects | Sharing our experiences of the changing urban dynamic is vital! Sharing our experiences of the changing urban dynamic is vital! We all know of communities and places that just seem to work – that have a great vibe, a vital sense of identity, social cohesion and prosperity. Others, well, they just don’t. How can we ensure that our future urban developments provide the good social habitable places that are essential for the continuing health, prosperity and balance of urban centres? One way is by sharing our experiences and learning from others. Each year the Academy of Urbanism gives awards to Great Places to bring them to the attention of others as examples and places from which we can all learn. The Academy of Urbanism is a politically independent, not for profit organisation that brings together both the current and next generation of urban leaders, thinkers and practitioners. It recognises, encourages and celebrates great places and the people and organisations that create and sustain them. There are five categories for the award – great place, street, town, neighbourhood and city. Nick Childs, lead assessor for the Great Place this year, presented the award last week to representatives of the City of Waterford. The award ceremony was held in Westminster at the headquarters of U+I, one of the UK’s most enlightened developers. The award recognises the extraordinary transformation of the area known as the Viking Triangle from an area of dereliction to a thriving new community. This generation was achieved through extensive European grants, local partnership and enlightened governance. 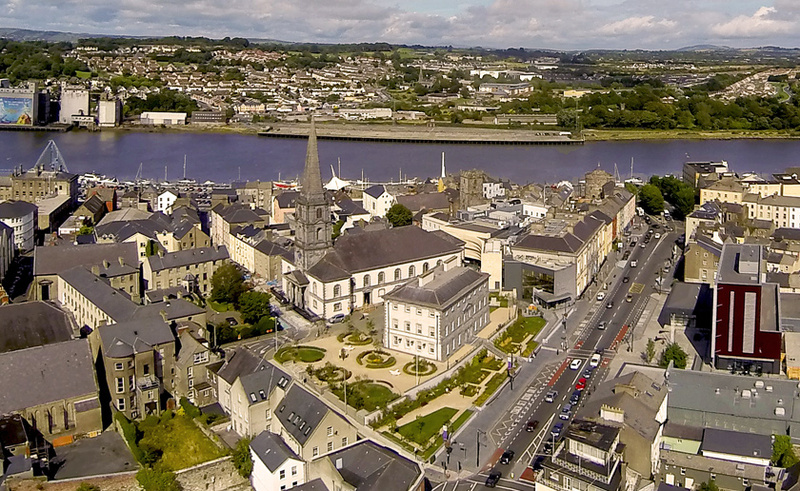 The new quarter has attracted residents and creative businesses and contributed hugely to Waterford’s sense of wellbeing. A fine example of urban regeneration and a worthy winner of the Great Place Award.